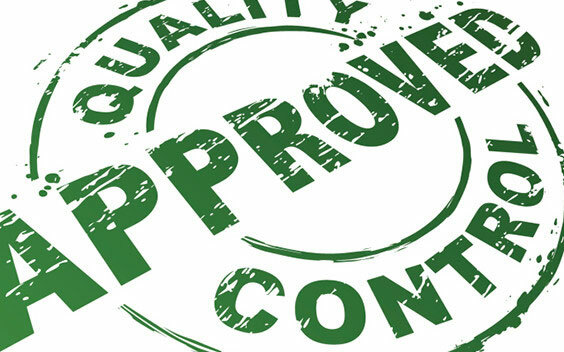 Vert Industries Pty Ltd is committed to implementing the strictest standards of quality assurance. Vert Industries provides services to the Construction, commercial and Industrial sectors. The company aims to ensure that its services meet the needs of its customers at all times, in accordance with contractual requirements, its policies and procedures. Vert Industries is aware of the need for good customer relationships to achieve customer satisfaction. As we ﬁrmly believe that quality is the responsibility of all personnel, we shall continue to foster an environment of trust, respect, participation and recognition through communication and training. The company shall allocate adequate resources and facilities to ensure consistent quality of service compliant with agreed speciﬁcations, and also the well-being and safety of the staﬀ. Our suppliers are recognised as an integral part of our business. They are selected on their ability to provide goods and services that satisfy our speciﬁc requirements and complement our objectives. Throughout the company, we employ and monitor simple, cost- eﬀective operating procedures, which are reviewed on a regular basis. We shall manage and motivate the management team by setting speciﬁc objectives and monitoring their attainment. These will form the basis of our quality system in line with Australian Standards, designed to achieve our stated aims of outstanding customer service and continual improvement. 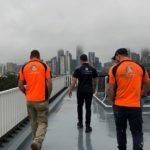 Vert Industries Pty Ltd is committed to assuming all viable and reasonable steps to ensure a safe and healthy environment for the staﬀ, our contractors and other individuals. Vert Industries acknowledges that every person has the right to a safe and healthy working environment and that each individual has a primary responsibility to help in the preservation and improvement of all occupational health and safety procedures of the Company. Upholding and providing systems and equipment of work that are safe and without risks to health. 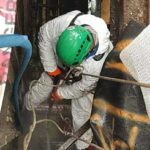 Maintaining places of work under safe conditions and providing safe access and egress. Furnishing an accident free workplace. Providing information, resources, instruction, training and supervision necessary to secure the health and safety of employees, contractors and other individuals at work at all times. Conferring with employees and their designated representatives on all facets of OHS in their respective workplaces. Checking that corrective and preventative actions are carried out and evaluated to eliminatehazards and risks in the workplace. Employees are encouraged to report issues relating to occupational health and safety as soon as they become evident so that they may be resolved. Compliance with Vert Industries’ Occupational Health and Safety Policy will be consistently monitored to reassess its eﬀectiveness, and to ensure that it meets current legislative requirements. An OH&S Committee is in place and members are elected every year in December. The committee must consist of one full-time employee from the administrative staﬀ, the factory staﬀ and the installers. Any employee not formally in the committee is welcome to attend the meetings of the OH&S Committee. Meetings are held every month. Vert Industries is mindful of its civil responsibilities and guarantees that the consumption of alcohol and/or the use of drugs, which may threaten the safety and competence of employees and the safety of Vert Industries’ work environment, facilities and operations are avoided. Vert Industries Pty Ltd is committed to pursuing high standards of environmental performance. Our company aims to help in conserving the environment for the future. Vert Industries Pty Ltd recognizes its responsibility to use products, conduct operations, and provide services in a manner that is responsible to the Earth’s environment, protective of its natural resources and protective of its employee’s health and safety. Develop and maintain a method of evaluating environmental performance for continual improvement.Setting and reviewing environmental goals are the basis for this evaluation. Recognize that protection of the environment is a company-wide priority and we will practice waste minimization to prevent pollution in both product design and production operations to the extent practicable. Employees at all levels within the company will work togetherto seek and implement waste minimization measures. Comply with all applicable legal and other requirements to which the organization subscribes which relate to its environmental aspects. Compliance will be part of the environmental goals and objectives that will be established and We will participate where requested with government entities for the development of technically soundand ﬁnancially responsible laws and regulations. Ensure environmental risks are properly identiﬁed, prioritised and managed in an appropri-ate way. Establishsound environmental management policies and promote best practise in all areas of its business. Minimise environmental impact and reduce or, where possible prevent pollution. Minimise waste production by reduced consumption and develop eﬀort management and recycling procedures. Collaborate with key suppliers to promote environmentally responsible procurement of goods and services. Actively pursue continual improvement in our environment management Reduce its Carbon Footprint to the required levels. This policy statement conﬁrms the Company’s intent to create and implement sound environmental principles throughout the organization and is available to all employees and the public through our website and upon request. Vert Industries is a leading full service Industrial Rope Access company based in Melbourne, Australia. We provide a diverse range of industry specific and related services to some of Australia's largest construction companies. 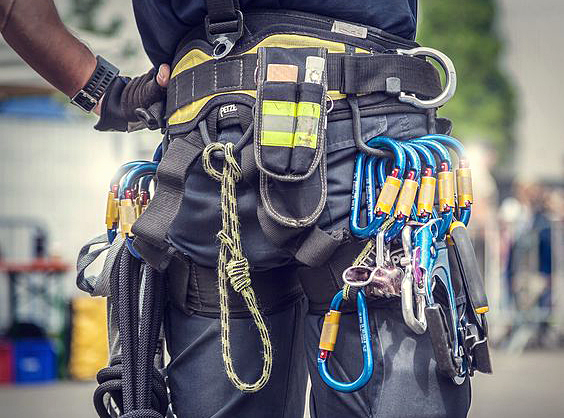 We pride ourselves on being one of the most professional, organised and easiest Rope Access companies to deal with and ensure a satisfying and hassle free service.